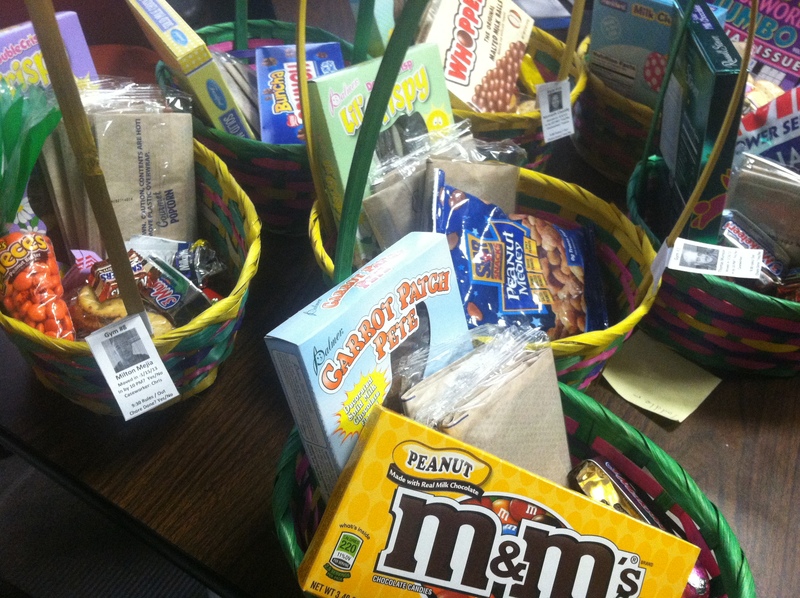 MCSA, the place where I work, is awash today in donated Easter Baskets filled with candy and other snacks. All of it was donated by the Catholic community in Muscatine. Their generosity is incredible. After all, there are 44 of the baskets for MCSA residents. Unfortunately — and I say that because it’s 4:30 in the afternoon, witching hour for this snack addict — there were plenty of leftovers that have been tempting me. So far, I’ve settled for an apple. Just curious as to why there would be left over candy. Wouldn’t you just keep doling it out in the baskets till it’s gone?